In 1960, Taylor Allderdice (“Tap”) Pryor formed the Makapuʻu Oceanic Center when the Pacific Foundation for Marine Research secured a lease from the State for land near Makapuʻu Point. Tap Pryor was born in 1931; his father Sam Pryor was a Pan American Vice President and friend and supporter of Charles Lindbergh. The Pryor’s had a home near Hāna where Lindbergh was a frequent guest; Lindbergh later purchased land next to the Pryor’s and built a home there, too. Tap Pryor graduated from Cornell University in 1954, then he joined the US Marine Corps, serving in Parris Island, Quantico, Pensacola and MCAS Kāneʻohe, Hawaiʻi – he flew helicopters and fixed-wing. After being discharged as Captain in 1957, he attended graduate school at the University of Hawaiʻi. 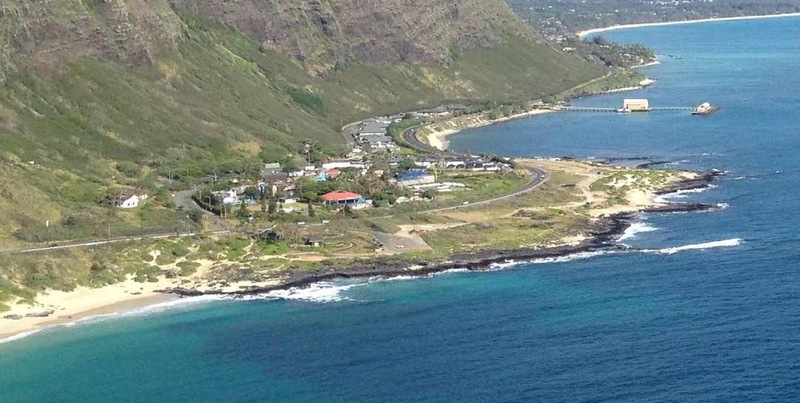 Sea Life Park, the popular marine attraction near Makapuʻu Point in East Oʻahu, opened in 1964. It was one of the early pioneers in marine animal exhibitions. Then, the Sea Life Park facility brought the oceanarium experience to Hawaiʻi – combining a dolphin research facility with a tourist attraction. In 1965, Pryor was appointed Senator to the Hawaiʻi State Senate. In 1966 (at age 35,) he was named by President Johnson as one of eleven Commissioners to the President’s Commission of Marine Science, Marine Engineering and Marine Conservation. Ultimately called the “Stratton Commission”, the group’s report ‘Our Nation and the Sea’ was published in January 1969. This group was responsible for the formation of the National Oceanic and Atmospheric Administration (NOAA) in 1970. In 1970, Pryor was named Salesman of the Year for the State of Hawaiʻi in recognition of his promotion of Hawaiʻi and it opportunities for marine science and engineering development. But, dreams faded and the organization was financially-overextended in efforts to develop undersea mining and deep-sea fish farming and underwent bankruptcy reorganization. As part of the bankruptcy reorganization in 1972, Sea Life Park, Makai Pier and Test Range, and Oceanic Institute were spun off into separate entities. The image shows the present-day Sea Life Park, Oceanic Institute and Makai Pier. In addition, I have added other images in a folder of like name in the Photos section on my Facebook and Google+ pages.